Woman In Digital: How Old Are You? Would you reveal your age? If someone asks would you be proud to tell her/him? Perhaps, you've seen this photo on your Facebook feeds. Would You Reveal Your Age? Dove recently launched another inspiring film to inspire us, women become confident and comfortable of our age. Dove wants women to feel good and beautiful no matter how old we look, whatever our age. #‎IamBeautiful‬! See the ‪#‎twinkle‬ in my ‪#‎wrinkle‬? Thank you Dove for reminding me that no matter how old I may look, I should always feel ‪beautiful. #‎IamBeautiful‬! 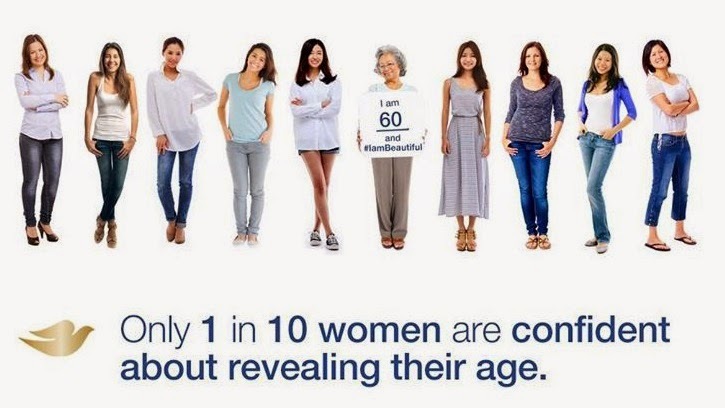 Join us, celebrate your age by taking a ‪#‎selfie‬ and watch this inspiring ‪#‎Dove‬ #IamBeautiful film. Watch "Dove: How old are you" and I hope you would also share this blog or this film to your mom, sister, best friend or colleague just the way I did.